This year Ballinrobe Duathlon celebrates its tenth birthday with a bumper field expected at the start line in 3 weeks’ time. Back in 2009, with the recession was in full flight, people started turning to outdoor activities as a cheap form of entertainment. This lead to a large boom in both cycling and running numbers and after years of over indulging and living the easy life the primal urge to compete raised its head once more which in turn lead to a demand for duathlons. Still relatively unheard of at the time the popularity of the run/cycle/run event has grown each year with this year’s event once more expected to be a sell-out. 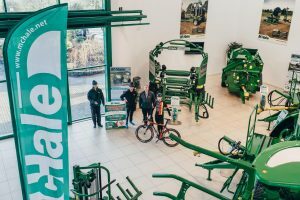 The idea for the event was borne by some fitness enthusiasts from Western Lakes CC who looked at ways at brightening up the winter months by hosting a short run bike run events. The aim was to make a race that was suitable to all abilities, from novices to elite. By timing each section it meant everyone got to see what time they took to do that section and where they could improve for the following years. To date over 3100 participants have taken to the now iconic start line on top of Bridge St, and this year participants will get to enjoy the newly refurbished Bowers Riverside Walk as they start their last run around the 3.5 km walk. Due to the range of competitors taking part this event has something for everyone, for some its getting bragging rights over local club mates, others it’s just to complete the course and for a select few it’s all about winning! This year all finishers will be giving a special 10 year anniversary mug to help them toast their success or drown their sorrows! The 3rd round of the Bridge Signs Ireland West Duathlon series is sponsored by McHales engineering. We are very lucky to have this internationally recognised company come on board once again. One of the biggest employers in South Mayo, the reputable engineering company have set high standards for themselves globally so we are expecting a great show on February 9th with over 400 athletes expected to participate. Event organiser Padraig Marrey of RaceFace events said ” Outdoor training and events have really taken off the past few years, our course offers participants a flat fast 5k run, a super-fast bike course and scenic last run on the beautiful Bowers riverside walk. 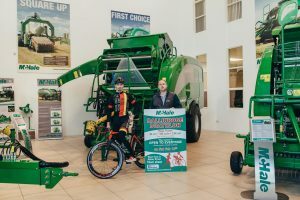 Paul McHale said “ It’s great to sponsor such a landmark event like the Ballinrobe Duathlon, any event that helps promote fitness and showcase what the town has to offer as a destination is great for the whole community. The company even have their own corporate team in the 6 event series”. The event is also supported by Vaughan Shoes with shops in Claremorris, Castlebar and Ballinrobe. Running these events wouldn’t be possible without support from the following: Mayo County Council, Ballinrobe Tidy towns, Western Lakes CC, Hollymount Wheelers, Ballinrobe Scouts, The Lakeside sports and fitness club, Ballinrobe CDC, Town Management and traders, the RSA, Core timing, Order of Malta and www.raceface.ie.